2. 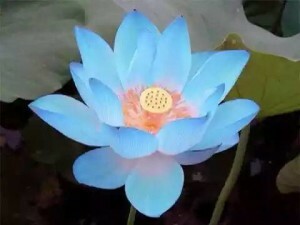 To seek other-worldly desire: To be reborn into the Pure Land (Aim of middle-level Dharma practitioners) To sow the “Seeds of Cause”: One must have Dharma practice, and choose “the correct method and focus of Dharma practice” in order to have a better successful rate in “getting rebirth into the Pure Land”. That is, Mind-training (to remove “Greed, Hatred and Ignorance”) and to undertake practical training for one’s “mental strength” (i.e. mental concentration). 3. To seek other-worldly desire: To attain “Buddhahood” (Aim of high-level Dharma practitioners) To sow the “Seeds of Cause”: Have “Mind-training”, and to undertake training on “Emptiness”. Tibetan Buddhism has a long history of more than one thousand years. Due to the fact that it has many different ways of Dharma practices, with a lot of rituals and ceremonies, it may seem to be exhilarating at the very beginning to the newcomers. But as time passes by, some practitioners, whose basic foundations in the Buddhist teachings are weak, or those whose intentions are impure, will soon find themselves becoming frustrated, or to be at a lost as to where they are and what they should adopt or abandon. In this way, the more they practice the Dharma, the more they are confused as a result. A lot of questions and problems have been received by our Association from both laymen and the Dharma practitioners alike, who have complained that it is, indeed, not easy to cross the threshold of Vajrayana. Even when they have entered the door of Vajrayana, as it is so full and rich in various arrays of outward fascinations, it is very often that these fascinations distract the eyes and confuse the minds. Hence, the more they go deeper, and enter into the more inner dimensions, towards the center of the Vajrayana teachings, the more questions, difficulties and problems they will encounter, even so much so that distorted conceptions and perceptions of Dharma practices start to arise. All in all, these are long and winding roads with many twists and turns, just like a “maze”, and that it is usually more easy to get in but very hard to get out, and is even more difficult to have a holistic picture of what is going on with a sense of direction. How about all those skillful means, as well as the teachings of liberation and perfect enlightenment within a single life-time, as taught by Vajrayana? These are usually all the main “attractions” of Vajrayana, and so what should we do about this ? Particularly, when we are at the moment of death, the “single thought” will determine whether we will be liberated or to continue on with samsara. To be or not to be, that is the question ? Thus, this set of 12 lectures has been the first of a series entitled “Series on the Practice of Tibetan Buddhism”, the contents of which touch upon the interplay and the interface of the Dharma practice with our everyday life. “All Dharma practices are rooted in life itself”, and so how to practice the Dharma, how to maintain our pure intention as well as our pure awareness, in our everyday life experiences were the main focus of these lectures. Particularly, our focus of training throughout will be mainly based on “Mind-Training” (Tib. བློ་སྦྱོང་, Lojong) which is the most basic, fundamental and important aspect of one’s own Dharma Practice. Of course, the ultimate aim for all our practices will lead to the realization of “Emptiness: Neither Existence Nor Voidness” as the final fruition of Perfect Enlightenment. Those who are long-time Dharma practitioners will find the materials to be very practical, not to be found in books, and come from the essences of wisdom that flow from real life experiences in the practices of the Dharma, and not just some kind of theoretical knowledge about the Buddhist teachings. Basic concepts, fundamental principles and teachings, as well as the crucial points, distractions, misunderstandings and the pitfalls of practices in Vajrayana will be introduced. As the contents are very condensed and tightly structured, and interpreted in a very special way, there is almost none of such kind of presentation before on the holistic picture of Vajrayana in the propagation of Tibetan Buddhism. Hence, for those who desires to learn about Vajrayana, for those who have not yet correctly mastered the crux of the Dharma practices, as well as for those who have already practiced Vajrayana for years but still having a lot of questions lingering on, and would like to review and to consolidate on their Dharma practices, they would find this series to serve as a useful guide with correct and clear directions. Even for the general practitioners, whether those of the Hinayana, Mahayana, or Vajrayana, this will also provide insightful significance for their Dharma practices. We sincerely invite you all to enter the great door of the practical merits of Buddhism, so as to re-orient one’s life, to re-define its meaning and to re-position oneself in it. If there are any merits and benefits to be gained from these series of courses, these will be totally dedicated to our Three Most Beloved Crowning Jewels (Root Gurus), namely: H.H. Kyabje Dudjom Jigdral Yeshe Dorje Rinpoche, H.H. Kyabje Chadral Sangye Dorje Rinpoche, and Ven. Lama Sonam Chokyi Gyaltsen, as well as to all our motherly sentient beings, as limitless as the sky.